A superset is a form of strength training in which you move quickly from one exercise to a separate exercise without taking a break for rest in between the two exercises. Typically, you will take a brief break to catch your breath or grab a drink of water between sets of an exercise. This also gives time for the muscles to recover. But when doing supersets you move from one set to another without a break. There are two main ways in which supersets can be performed. These two ways are quite different, and thus, the results derived from them vary greatly. The two main types of supersets are opposing muscle group supersets and same muscle group supersets. Supersets can be used as a way to do more exercises in a given length of time. While your muscles are recovering from one set, you are performing another exercise rather than taking a break. You can switch back to the first exercise to perform another set and continue with that pattern until you need a break for a drink or recovery. Supersets place an emphasis on stamina as well as ability, as the lack of a break between sets can be extremely challenging. In weight training, a set is a particular number of the same exercise performed consistently without stopping. Sets are comprised of repetitions (reps), which are individual performances of a single exercise. For example, if you do 10 arm curls in a row, that is considered to be one set of 10 reps. Each one of the 10 arm curls performed is considered to be a rep.
A superset could be a set of 10 biceps curls followed by a set of 10 triceps extensions or it could be a set of 10 pushups followed by a set of 10 dumbbell bench presses. One very common form of a superset workout includes working for two opposing muscle groups back to back and then repeating the circuit. For example, a common superset includes performing one upper body exercise (such as the bench press) and then immediately moving to a lower body exercise (such as the leg press). Another easy method to plan supersets is to alternate with opposing muscle groups. You can combine the bench, which works the chest, with the seated row, which engages the back. These supersets are very similar to a circuit training routine. 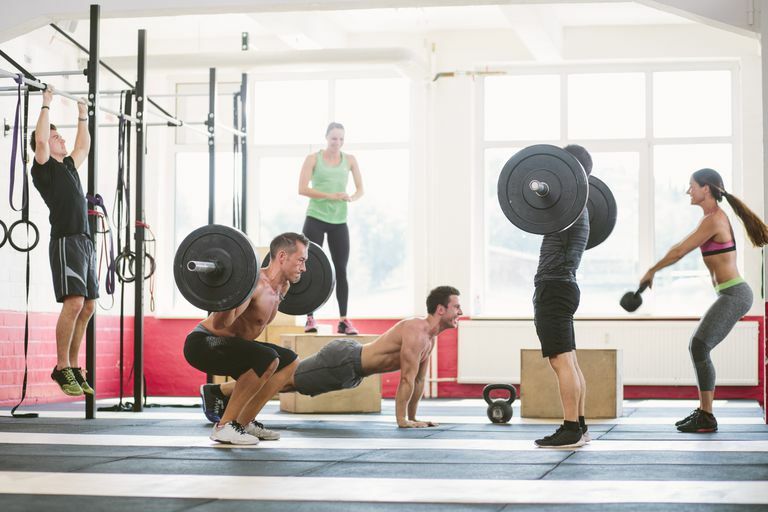 Although supersets tend to focus on two exercises at a time, and circuit training routines often have up to 10 stations, both workouts require little rest between exercises. The second way to perform a superset workout is to choose two different exercises that work out the same muscle group and then perform them back to back without a rest. Performing quadriceps extensions immediately after squats is an example of this type of superset. This type of superset works one individual area especially hard. It is a great way to focus on a particular area of the body.